Hi lovelies! I hope that you all had a wonderful weekend. Mine was full of so many fun things with great friends that it’s going to take me a couple of days to fill you in. But rather than start from the beginning, I want to chat about Sunday night. I don’t think I’ve mentioned it, but a group of my friends and I have a Bachelorette bracket. My team name was Em & Em, but unfortunately, thanks to Charlie getting sent home very early, I didn’t do so well. 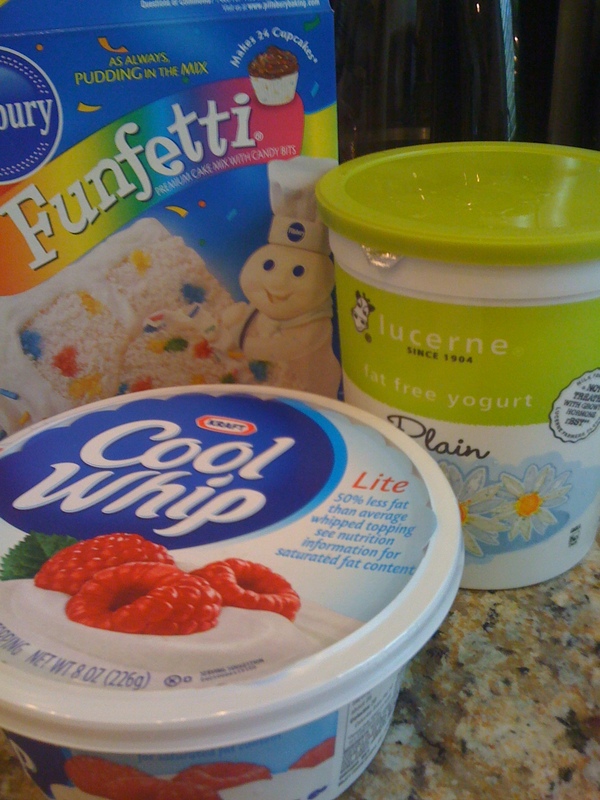 These combine to make the ever popular, Healthy Funfetti Dip! This recipe is so incredibly easy to make and is a definite crowd pleaser. Since the recipe basically consists of stirring the above together, be sure to note that it needs to be refrigerated for at least 3 hours for the flavors to combine and if you eat it right away, it lacks the true cake flavor that develops later. Also, unless you are taking this to a large party (we had about 10 people) I’d suggest halving the recipe, as this makes a *huge* bowl. 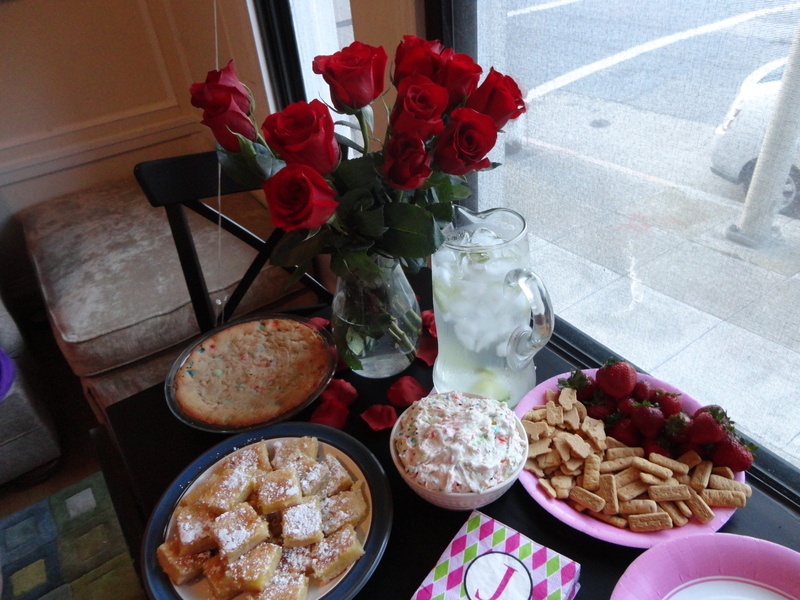 As you can see, our hostesses went all out and had red roses scattered around the apartment, candles lit, and even Jef and Arie napkins! 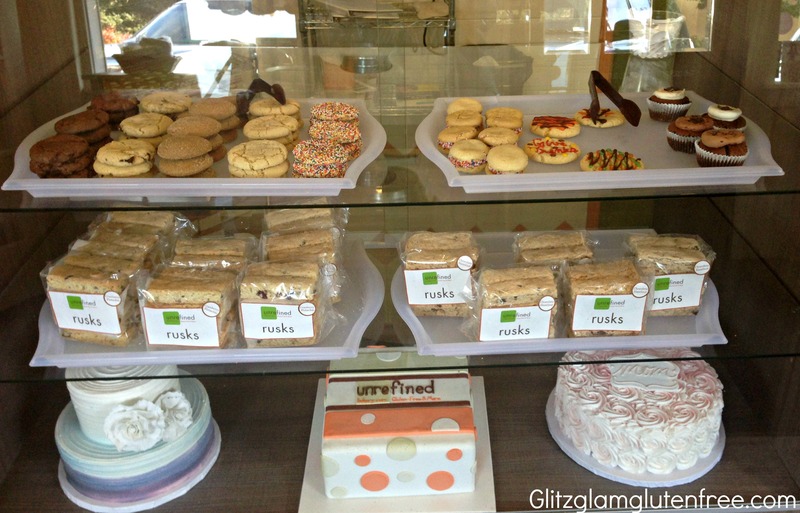 Also, the above is only part of the dessert table as cupcakes and special yogurt waffle cones were later added! In addition to all the sweet treats, we had my friend Ashley’s famous baked brie (maybe I’ll get her to guest post and share! ), quinoa stuffed peppers, spinach artichoke dip, snap pea and bean dill salad and more! Needless to say, along with our wine we were all sufficiently stuffed. But that didn’t stop us from squealing as we watched the episode together and gasping when Emily said goodbye to Arie. An Indy car driver, Arie was my favorite from the beginning and their chemistry was undeniable, but when it came to who was a better fit for Emily, I did have to agree that Jef was the right choice. And with that another season of the Bachelor franchise is over! Bachelor Pad started last night and while I’m sure that I’ll inevitably watch it, it won’t be nearly as much fun as tuning in every week with my family and friends to see who Emily is going to pick. -What’s your favorite food to bring to parties? -Did you watch the Bachelorette? Were you surprised with Emily’s choice? Hi lovelies! I don’t know what has come over me lately, but I seem to have been bitten by the cooking bug. This has never happened before so I’m going with it in the time being! I recently bought zucchini and yellow summer squash at the store and wanted to do something a little different with it then the usual grilling or boiling. On Sunday night, I decided to make Mama Pea’s Zucchini Quinoa Lasagna and oh my gosh, it was amazing. I followed her recipe almost exactly but omitted the onions simply because I forgot to buy them at the store. I intended to take pictures of the process or at least include the final result, but all I can show you are the ingredients. Why? Oh, because the second it was out of the oven I went right from admiring it to diving into it, fork-first. It was a hit and everyone went back for seconds. Thanks, Mama Pea! After Sunday night’s success, I decided to try my hand at cooking again last night. 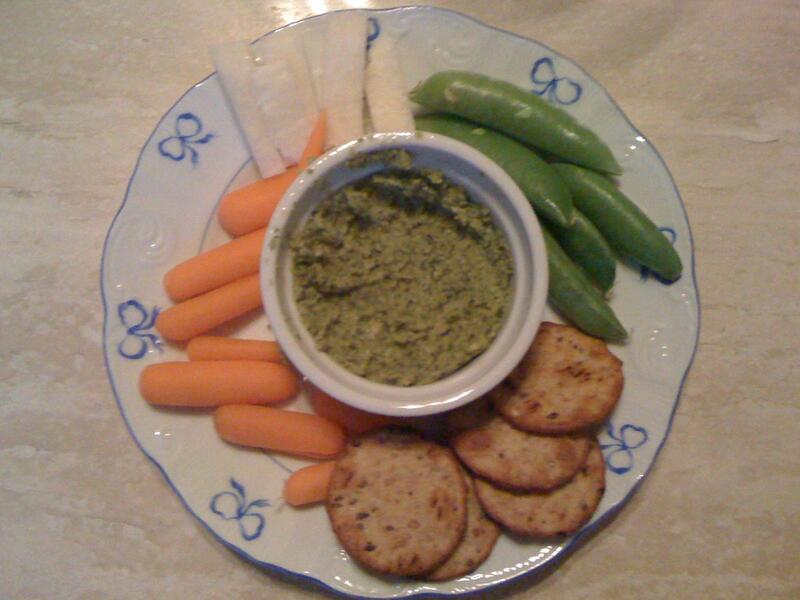 This timeI made Gabriela’s Cashew Pesto Hummus and Bon Appetit’s Shaved Squash Summer Salad. First up was the hummus. The one ingredient I was missing was the tahini, so I decided to stop at Trader Joe’s to pick some up. Well wouldn’t you know it, but they were all out of tahini! So I did a little improvising and used 1 T. peanut butter and 1/4 tsp. Toasted sesame oil. I’m not sure if it tasted different from how it would have with the tahini but it was delicious! It was fresh and creamy and the perfect dip for vegetables and multigrain pita bites. The perfect appetizer for the first hour of the Bachelorette! 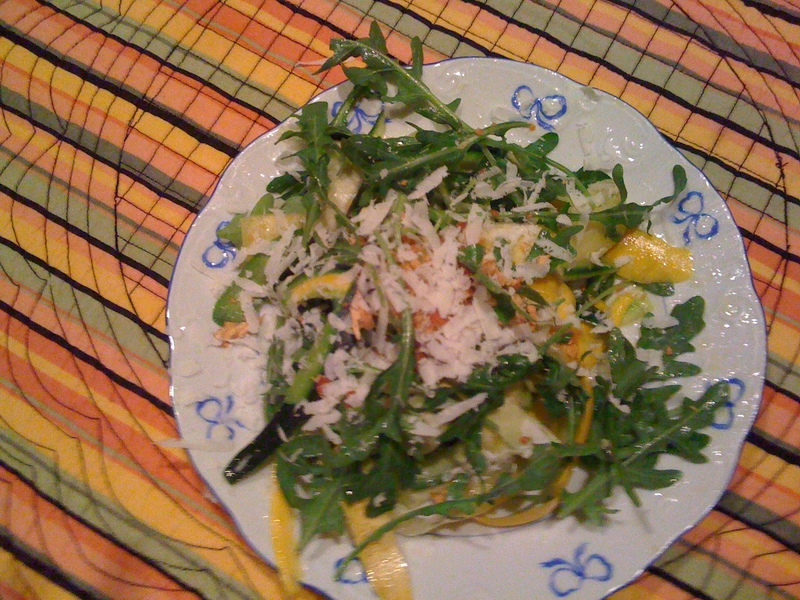 Then it was time for the squash salad- which I made during the Bachelorette. Luckily, I can stand at the edge of the kitchen counter and still see the tv, so I didn’t miss too much of the drama! 1. Cut ends off of the summer squash and shave strips using a vegetable peeler. 2. Mince 1 garlic clove and mix with fresh lemon juice, olive oil and salt. 3. Toss a portion of the peeled squash and baby arugula with some of the dressing. 4. Transfer mixture to a plate and shave pecorino romano cheese on top. Garnish with crushed almonds. The PERFECT light summer salad- And yes, I went a little heavy on the cheese. All in all, it was the perfect light summer dinner. 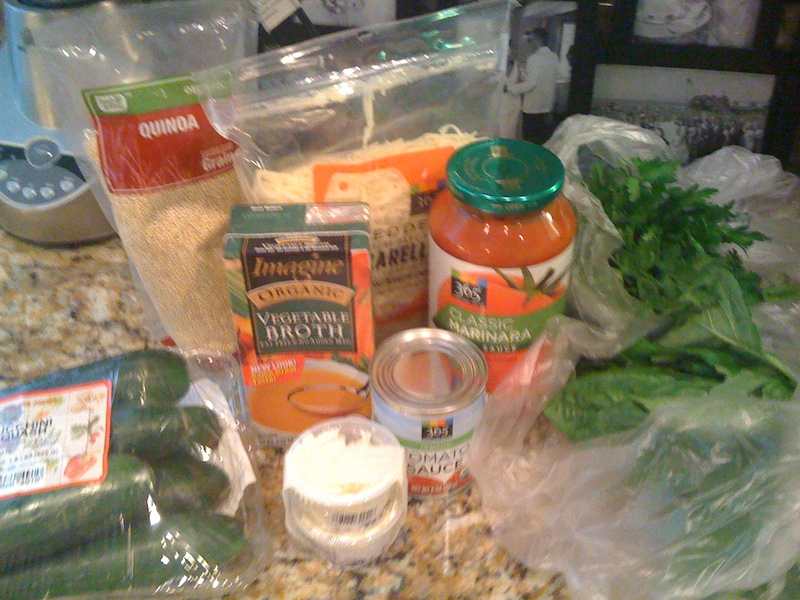 I had originally intended to make it even more squash-tastic by making Trader Joe’s Butternut Squash risotto (I literally squealed when I saw this in the store since it is two of my favorite things combined) but after LOTS of hummus and 2 servings of salad, I was just too full. The meal was finished with a sparkling water with lime and a square of Trader Joe’s Extra Dark Chocolate with Almonds. 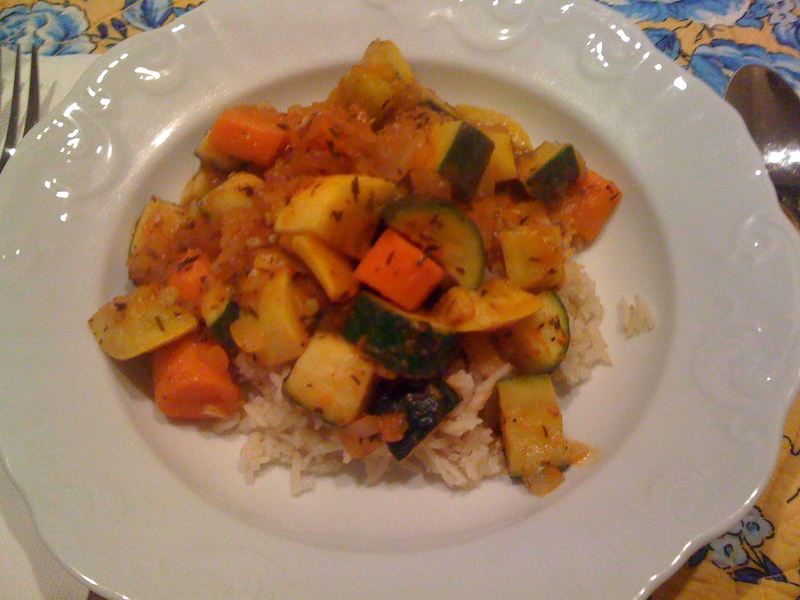 I think I decided that although cooking is time-consuming (I was in the kitchen the whole night!) 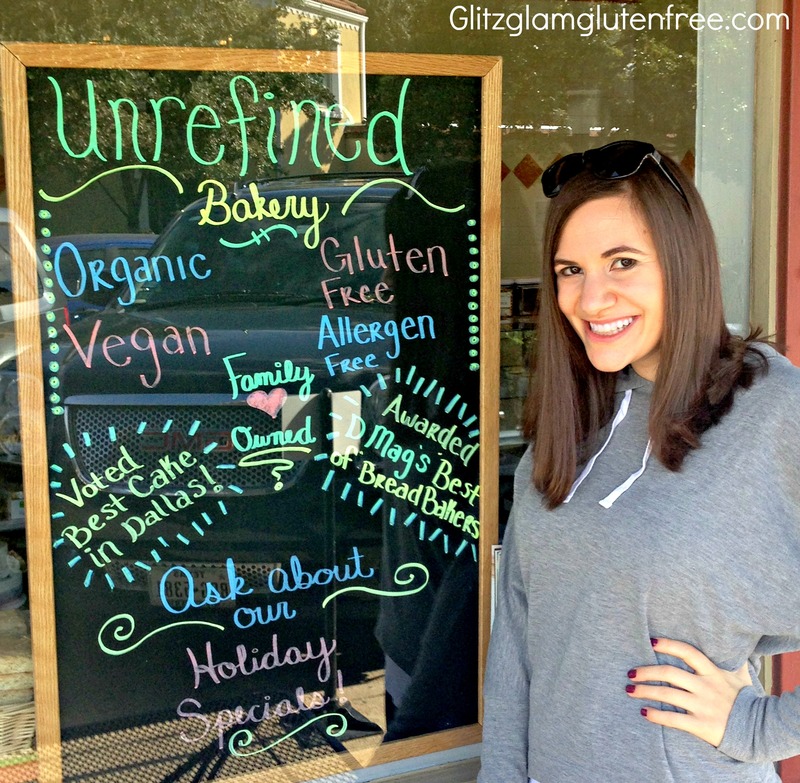 I might be a new convert because this was one of the best fresh, healthy meals I’ve had in a while! We’ll see how long it lasts- but maybe now I can finally use my recipe binder! -What recipes have you made lately?